Dogs for the Disabled assistance dogs are life-changing for adults and children with physical disabilities. Our dogs are trained for many tasks, from providing stability when walking to getting the washing, and open the door to greater independence, confidence and companionship. Dogs are partnered with disabled people at no cost. 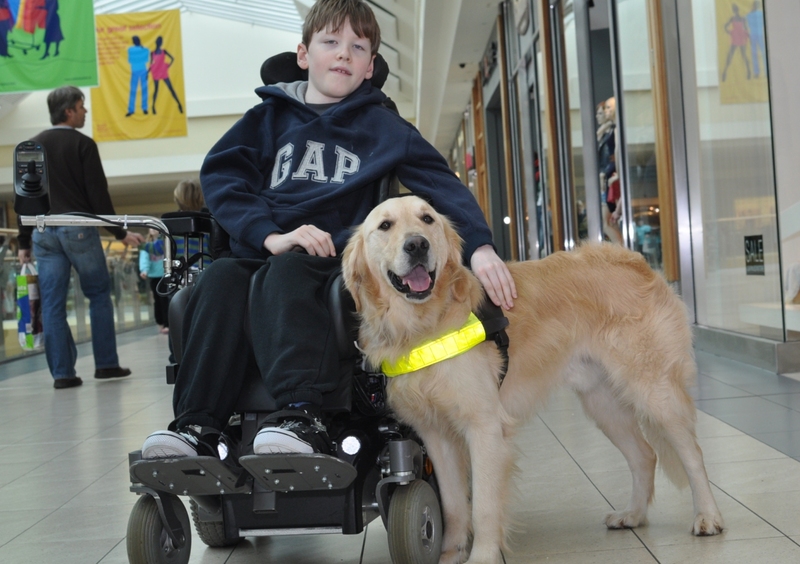 85% of our dogs are partnered with children with physical disabilities. Training takes place at our premises in Togher and around Cork. There is currently a 5 year waiting list for DfD dogs. You can read Aidan and Luke’s story in Pauline’s own words to learn more. Important: We do not take applications online. Please ring the Dogs for the Disabled office on 021 4316627 to discuss an application. Thank you!